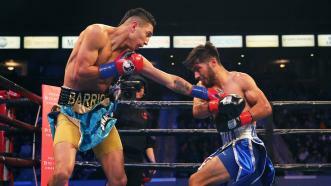 Mario Barrios (23-0, 14 KOs) knocked out his seventh consecutive opponent as the 23-year-old from San Antonio stopped Mexico’s Richard Zamora (15-3, 10 KOs). 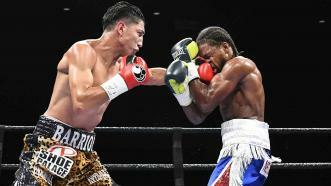 Mario Barrios sent Naim Nelson to the canvas with a hard left in the middle of the seventh round, causing referee Gary Rosato to check with the ringside doctor once more before waving off the bout. 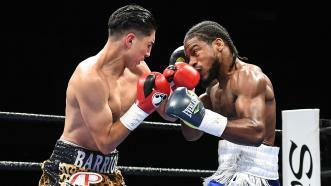 Mario Barrios, a rising 140-pound star from San Antonio, improved his unblemished record to 20-0 with a seventh-round TKO win over Naim Nelson—who could no longer continue due to a shoulder injury in the main event on PBC on FS1 on September 19, 2017. 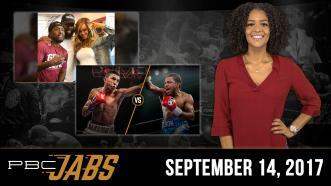 This week on PBC Jabs we check in with former world champ Andre Berto as he lends a hand in Houston, Texas, during the Hurricane Harvey relief efforts, and we preview our toe-to-toe Tuesday’s upcoming September 19th FS1 show. 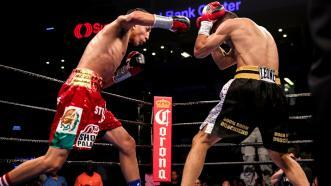 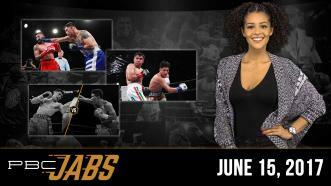 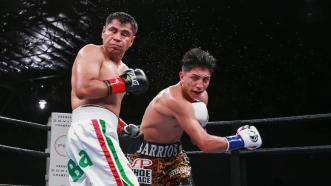 Mario Barrios remained unbeaten with a seventh-round knockout of Jose Luis Rodriguez in a 140-pound battle. 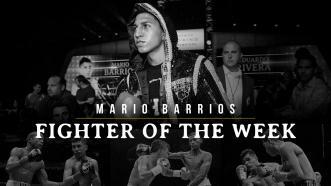 Undefeated Mario Barrios (18-0, 10 KOs) looks to continue his climb up the 140-pound ladder when he takes on Jose Luis Rodriguez this Sunday on a special edition of PBC on FS1.